Ms. Clark hopes to help bring better understanding and an end to hurtful, downright wrong stereotypes about poverty and homelessness. "Homeless [people are the] leading target of hate crimes." Tim Bates, Commander of the Detective Division of the Rome, New York Police Department. “For those sleeping under freeways and in back alleys, the threat of violence is nearly constant. Would YOU Give CPR to a Homeless Person? The inspiration for this article came about when I was sitting in a fast food restaurant that is part of a well known national chain, here in my hometown. I was having a snack and watching political commentary on one of the restaurant’s big screen TVs when three men wearing uniforms representing a national energy company came into the restaurant, straggling in one at a time. One appeared to be mid 40s, one mid 50s, and the oldest one seemed close to retirement age. The two older men were tall and large bodied with pure white hair. The youngest one was of average height and stocky with brown hair. The men ordered and received their food and then sat down at a table about six feet away from me. After a few minutes when I looked in their direction, the youngest one was reading a list out loud to the other two that I heard him say was located on Facebook. It was a list of questions, along with answers he said his wife had provided. I didn’t pay much attention to the men beyond noticing their presence and sort of what they seemed to be doing. I continued to watch the political news report and eat my snack. I didn’t listen to the questions the men were reviewing. Then all at once a voice was raised and there seemed to be a disagreement between the men. I looked their way when I heard what sounded like a very angry, loud voice. The older men tried to calm the situation, and the younger one quieted down somewhat as they continued to discuss that issue for a bit longer. The younger of the three remained upset, very animated, and louder than the others. I wondered how the angry man would know if the person who needed CPR was homeless. I was itching to ask him that and other questions, like would he let a homeless veteran die for need of CPR? A man who had possibly risked his life so this man who hates homeless people could sit comfortably in a fast food restaurant whenever he wished and hate homeless people loudly for all to hear? But in the end I didn’t want to escalate the situation, so I didn’t ask anything. The homeless people I know, and I know a lot of them, blend in with everybody else for the most part. They behave the same, dress the same, and seem to be of average, and sometimes above, intelligence. They do not stand out among other people or appear especially different in any way. They do not fit the stereotypes that the majority of people in this country cling to and seem to hold dear. Most of the homeless people I am acquainted with are not drunkards, not high, not ‘crazy in their behaviors,’ and they do not smell, or wear dirty clothes. In the end, I didn’t stop and say anything to the men as I was leaving. It has been my experience that people who are extremely passionate about anything related to hate cannot hear, and their brains cannot process. They do not want to hear anything that doesn’t agree with what they have decided to believe, or that in any way questions the validity of their hate. Even if I succeeded in getting the new procedures across to the angry younger man, it would likely have led to some discussion relating to homeless people and possibly caused disruption in the restaurant. The people who work in that restaurant have always been very good to me and I didn’t want to cause problems for them. How Do You Know if Someone Is Homeless? Since overhearing that conversation between the men from the energy company, I have thought a lot about what the angry younger man said relating to homeless people. Clearly he has a misguided and mistaken stereotype in his mind about homeless people. He likely passes them often, if not everyday, as he goes about his life, and never even realizes it. I know for a certainty that there was at least one homeless person known to me, within close proximity to this man in the restaurant that day he was so upset, and he didn’t even know it! Clearly the man who so hated homeless people that he wouldn’t dream of saving one of their lives, much less allow his wife to kiss him if she tried to save one of their lives, was not up to date on CPR. Mouth-to-mouth recitation is no longer the recommended or preferred method for adults or for children over 8 years old (except in special circumstances), however, devices to prevent physical contact if one chooses to do mouth-to-mouth CPR are available. There have been many changes from what I learned years ago in public school. One thing that was emphasized in my recent training is that babies and young children up to age 8 do best with a different procedure than is used for adults. We were trained on that procedure since my job entailed helping to transport children 2-8 years old. Chest compressions are the main procedure for adults today, and mouth-to-mouth is acceptable, but not required. I considered stopping at the men’s table as I was leaving, to explain that to the angry man who hates homeless people. Hates them so much, and so profoundly, that he would not deign to interfere if he encountered a homeless person who was choking, or who had fallen and become unconscious as a result. There are 2 videos in one here. They will instruct about chest compressions if you don't already know how to do them. Would you be willing to perform CPR on a homeless person? I would be willing to call 911 to get them help, but nothing more. I don't care what you say. Homeless people are lazy, filthy, disgusting creepy people. NO, I certainly would not give them CPR or anything else! I would certainly give CPR and call 911 as well. All lives are valuable. Not all homeless people are easy to identify like this one. One reason I believe the reported number of homeless people in this country is far underestimated is the method that is used to count them. Every once in a while some government agency, either city, county, state, or federal, decides to go out and count all the people who are homeless for the purpose of allotting resources to deal with their situations. Officials go to places where they expect to find homeless people and count those people who ‘look’ homeless to them. As you can tell, it’s a very scientific procedure and great pains are taken to be exacting. For those people challenged in sarcasm, my last sentence is meant to be facetious. Fewer than 20 percent of all homeless people fit the stereotype many, if not most people, imagine homeless people to resemble. Fewer than 20 percent of all homeless people fit the category of people who cannot function in society because of substance addiction or mental disorders. Most (not all) homeless people nowadays have access to showers including soap and shampoo. Lots of people are in frequent or daily contact with homeless people and do not even know it because most homeless people do not fit the stereotype that so many people seem to hold dear in their own minds. Most people I have encountered, and even other writers on HubPages, refuse to even consider that they might be wrong in their opinion of homeless people. The stereotype they hold onto with all of their might is for the most part WRONG. Many homeless people will take care not to let anyone know they are homeless lest they endanger their own lives by that admission, as some people find it to be great fun to pour gasoline on homeless people and then light them up. Others have a more hands on approach and prefer to beat homeless people, usually to death, with whatever instrument that is available. A tire iron, a fireplace iron, a golf club, a baseball bat, a brick . . . The discrimination against homeless people in the U.S. is staggering in it’s frequency, intensity, and cruelty. People fall on hard times through bad luck for a variety of reasons, and suddenly they are ostracized by every single friend they had, and not one of their family members will speak to them, much less offer any sort of help. How are people who become homeless supposed to dig their way out if no one will speak to them? When no one will even consider them for a job? When they have nothing? Nowhere to go, and no one to turn to? Why does hitting a rough spot in life or falling on bad luck deserve this sort of treatment? In this richest nation on earth, the nation some say is built on Christian principles and values, many cities turn poor people into criminals by passing laws that make standing, sitting, or lying on the ground, as well as eating and drinking outside in public, illegal. For poor people in some parts of this so-called Christian nation, sleeping in a car or wrapping oneself in a blanket or other protection is also illegal. I have written about these ignorant laws in my other articles on the subject of poverty and homelessness. How is a person supposed to help themselves? How is a person to even survive if they cannot do any of these things that most people do without even thinking about it? Things that most people take for granted, but that are against the law for homeless people to do. Standing, sitting, wearing a coat, eating, etc. It is also illegal in many U.S. cities to give assistance in the way of money, food, or blankets/coats, etc., to homeless people. If you were to become homeless you best think about what you are doing lest you end up in jail with a criminal record, all of your possessions taken from you and destroyed. There is no education like the education of being homeless — and it’s free. People who do everything in their power to make the lives of homeless people even more difficult and downright miserable deserve this free education in my humble opinion. Make me God for just a few seconds . . . If you are able to breath (meaning you are alive), there is always the possibility that you will find yourself in this unfortunate circumstance. Things you could have never imagined can happen and cause you to be penniless in the blink of an eye. But for the benefit of God’s mercy, any person can find themselves in extremely harsh circumstances just like the people they themselves love to hate. Yes, many people love to hate certain people who happened to be different from themselves for merely existing. Have you ever heard such profound logic before? And it’s practiced as often by self-described Christians as by anyone else. There are all kinds of rationales that people use to justify hating other people that they do not even know. People hate others because of their color, their sexual orientation,their ethnicity, and most of all, because they are poor. For many people it is a double or triple whammy, because they are both homosexual and poor, homosexual, poor, and black or brown — the combinations for what many people believe are acceptable excuses for hating people are plentiful. If you have ever wondered if someone is truly your friend or just hanging around hoping to benefit from what you have or who you are, becoming homeless will definitely answer that question, and quickly. Who with the ability to think cannot see the evil in the passage of laws against doing what everyone must do to stay alive? But only against the law if you are homeless or desperately poor. Sleeping, moving about, eating, etc. It would seem that dying is the only thing that isn’t forbidden and fined. Perhaps that is because the “better people” in this world want to encourage poor homeless people to die, and so it is the only activity left to them that is not breaking the law? “Alaska, California, Florida, Maine, Maryland, Rhode Island and Washington have committed to qualifying assaults against the homeless as hate crimes . . . In 2010, Florida declared attacks against homeless people as hate crimes, which come with heavier sentencing. [Example] A second-degree felony, for example, gets bumped to a first-degree felony, with the maximum prison sentence increased from 15 to 30 years [when it is determined to be a hate crime] . . . ,” (Eleanor Goldberg, HuffPost Impact, Huffington Post August 29,, 2014). Many people seem to think the label ‘hate crime’ is nothing more than a label and are not aware that hate crimes include much harsher charges as well as heavier sentencing of people who commit such crimes. The definition of a hate crime as put forth by the Psychology and Counseling Department of the El Paso Community College: Current federal law defines hate crimes as any felony or crime of violence that manifests prejudice based on “race, color, religion, or national origin” (18 U.S.C. §245). Hate crimes can be understood as criminal conduct motivated in whole or in part by a negative opinion or attitude toward a group of persons. Hate crimes involve a specific aspect of the victim’s identity (e.g., race). Hate crimes are not simply biases, they are dangerous actions motivated by biases (e.g., cross burnings, physical assault). How Many Homeless People Are Injured or Killed Every Year in the United States due to Unbridled Hatred? The reporting of hate crimes is piecemeal all across this country. For some reason police departments on city, county, and even state levels, do not report even close to all of the hate crimes they investigate regardless of who the victims of those crimes are or what kind of hate was involved. Even in states where crimes against homeless people are now considered hate crimes (they’re working on making them hate crimes in all states), they are still often not reported — like all hate crimes against other groups are not always reported. 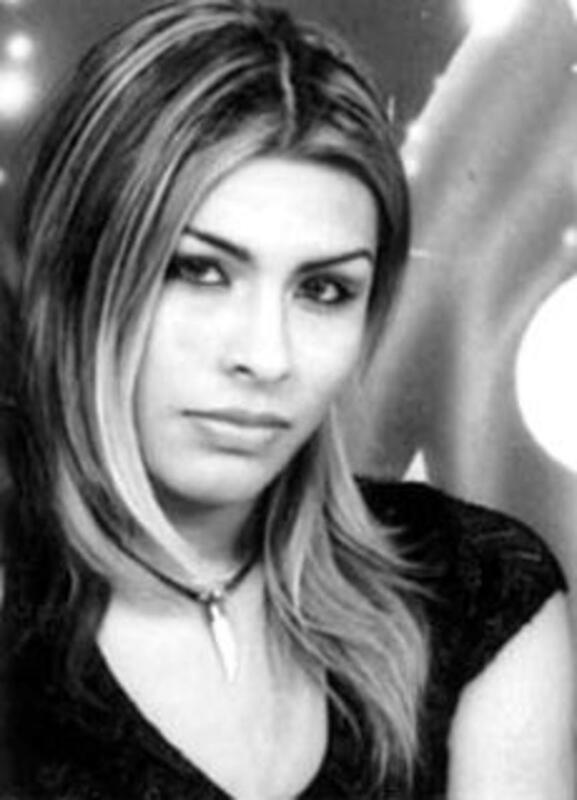 Because crimes against homeless people are often never reported by the various law enforcement agencies, an exact count of how many violent crimes (including murder) are carried out against homeless people in the United States is not known at this time. It is accepted truth that the number recorded does not begin to include all. At least 501 homeless people died in Sacramento County California between June 2002 and June 2013. Only 26% of the deaths were deemed alcohol/drug related — not that deaths of people in need of help to kick their habit is acceptable. There is no record of how many of these deaths were the result of hate crimes. 38% of the deaths occurred outdoors and were about evenly spread over all 4 seasons (The Sacramento Bee). Keep in mind that at least 46 homeless people died every year just in Sacramento County California alone, during the years stipulated, because they were homeless. Multiply those 46 deaths by the number of counties across this country and adjust for each county’s demographics. The number of people dying every year in this richest nation on earth, merely because they are poor, is shocking if you think about it. What kind of Society Leaves Their Handicapped to Fend for Themselves In the Streets? I have written previously about how more people die every year from poverty than from cancer or heart disease, the two biggest killers of humans right behind poverty. Yet people fear heart disease and cancer, but give no thought to poverty. That’s probably one reason so many people are surprised when they unexpectedly find themselves living in poverty. They thought it couldn’t happen to them! Have you ever noticed how a lot of people think car accidents and cancer happen to other people, and don’t seem to believe it could happen to themselves? Homelessness and poverty are the same. No one seems to think it can happen to them. Maybe you, dear reader are one of those people. What a shock it will be for you if it does ever happen to you. That’s when you will find out too late, that you have no voice. At least no voice anyone cares to listen to. No voice anyone will in fact listen to. You could have been Einstein yesterday, but today you are homeless and therefore a worthless, useless waste of skin and space that most people find disgusting. A lot of people used to sneer and look down on cancer and heart disease victims too, so maybe once people understand that poverty is a disease and can happen to anyone, they will have a better attitude towards homeless people. Perhaps more safety nets will be made available and more help offered for people to get back on their feet when people discover that no matter who they are, they are susceptible to poverty. But that will take a long time, and people in crisis need help now. Now is the time to speak up for fair and respectful treatment of poor and homeless people. Now, before you become homeless yourself. Once you are living in poverty no one will care what you have to say. No one will listen to what you have to say. Join with people who want to improve, and ideally end homelessness permanently, while you still have a voice. Perhaps with everyone pitching in together to end homelessness and stop the stigmatizing of homelessness, no one will ever have to fear falling into that unfortunate circumstance in this country ever again! I know some people will never accept that all homeless people are not alcoholics and junkies and or suffering from mental disorders. I know that some people will always justify deaths of homeless people by imagining in their own minds that homeless people are disposable and without any value or redeeming qualities. Even so, I will continue to point out that fewer than a fifth of all homeless people have substance abuse or mental issues, and that even their lives have value. Maybe with time and life experience these heartless people who look down on poor people will come to realize their insistence on demonizing and dehumanizing homeless people is just a tactic of their own mind to avoid helping others truly in need. Please watch the following video. It’s only 3 and a half minutes long and very informative. It shows how readily people of average and above intelligence are beyond willing to help someone who is not poor, someone like Donald Trump, but unwilling to do anything for a homeless person. Yes, the following video depicts first hand how people willingly and happily give money, sometimes even more than was asked for, to someone who is reasonably well off, but sneer, and even verbally denigrate truly poor people who need their help. Perhaps this will help some people understand how truly messed up their values are. Experiment showing who people are willing to help and who they are not. About 3.5 minutes. Worth your time to watch. More people than you might think have good educations, yet end up homeless. “The wealthy working people have earned their right to live in the city,” he said in an open letter that went viral to widespread criticism. “They went out, got an education, work hard, and earned it. I shouldn’t have to worry about being accosted,” (Michael E. Miller, The Washington Post, June 8, 2016). Many homeless people have good educations. Many have previously held responsible jobs and paid mortgages in middle class neighborhoods. Many homeless people currently have jobs that do not provide enough to pay the skyrocketing rent that so many communities are now experiencing. This is not to say that all homeless people are angels. I know homeless people who are in my opinion extremely wasteful. They spend the little money they get on tobacco products, soda pop, coffee, and even expensive video games and other things that most of us wouldn’t consider necessities in a crisis situation. They are the minority. I really think people who are rejected over and over again by everyone, family, friends, employers, and more, forget how to be practical and how to take care of themselves. Indeed, managing day-to-day life, let alone emergencies, as a homeless person, is no task for the faint of heart. It is even believed that some people become mentally ill as a result of living in the streets. Imagine most, if not every single person you thought was your friend turning their backs on you. Imagine your family turning their backs on you. Imagine employers refusing to even consider hiring you to do anything. That is sadly more often than not the situation most homeless people live with every day. It’s so easy to criticize people who can’t fight back. People who have no access to justice. People who are attacked and killed more often than any other group simply because they are poor. Yes, killed by police even more often than African Americans, for no reason at all except that killers can apparently get away with killing homeless people even as they kill rats with no accountability. Sometimes the homeless person killed without repercussions for the killer is both homeless and African American. Becoming known to police as a homeless person is even more dangerous in our society than being black. Suddenly you become an acceptable target not only for cops, but all kinds of people who imagine themselves somehow superior. There is no end to the reports of attacks on homeless people and of their murders. I invite you to read about a few deplorable situations homeless people have found themselves in because they were homeless, which should be bad enough without government and the general public piling on. I highly recommend the sources listed below also. Huffington Post — Attacking a homeless person is a hate crime. Star Tribune on police reporting of hate crimes. "Invisible Empire of the South"
Anita Hasch, thank you for taking time to read and comment on this article! Once a person is homeless it is indeed extremely difficult for most to get back on their feet. Most landlords will not even consider renting to a homeless person. Most employers will not even consider hiring a homeless person, and of course it is difficult to maintain good hygiene and get decent sleep in order to perform one's job if one is homeless. Sadly, there is a serious stigma of homeless people and most people tend to stereotype all homeless people as being carbon copies of each other. This couldn't be further from the truth. The National Homeless Coalition states that only 19% or fewer of all homeless people suffer from/with mental illness and/or substance abuse issues. That means 81% do not. Yet all homeless people are lumped into these categories. I continually try to publicize the problems homeless people face and how wrong stereotyping them is. So many people who are living paycheck to paycheck these days don't seem to understand how easily one can become homeless and suddenly find themselves in the same unfortunate situations, and therefore category, as the homeless people they generally despise. That happened to some of the government workers suddenly out of income as a result of the recent government shutdown. Thank you again for your comments! Thank you for an interesting and informative article. It is so true that homeless people are everywhere and only the strong and those that get help can start over again. Bless you for bringing this to the publics attention. Shyron E Shenko, thank you for sharing your thoughts. I read recently in our local newspaper that at least half of all homeless people in the U.S. (3.5 million at any given time. I suspect there are really more than that) are homeless, living in their vehicles and traveling from town to town taking odd temp jobs. SS cuts aren't helping. Take care . 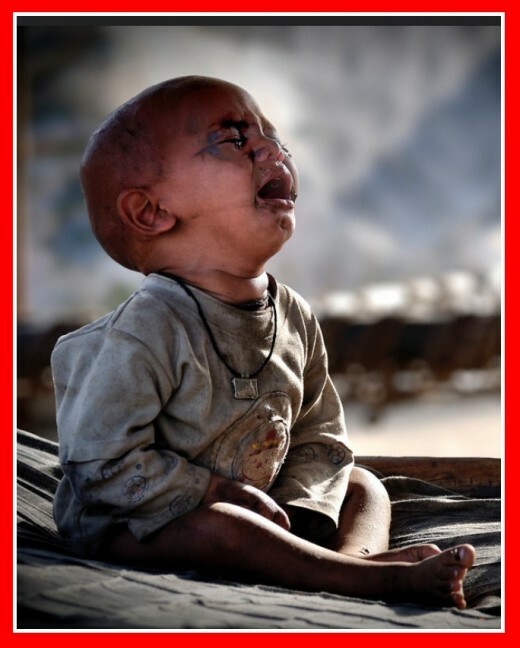 . .
Cee/Au fait, I have this bookmarked, no one knows when they will end-up in this hopeless, helpless situation. I understand just how it can happen, there are so many greedy people on the ready to take your/my last dime to enhance their wealth. There are those who have killed to make themselves rich. I hope all is well with you. Blessings my dear friend. Peggy Woods, thank you for reading this article and sharing your thoughts on this important subject! So good to see you again. It's been a long time. I agree with all that you wrote and I hope the new guidelines for CPR will cause more people to lend a hand when needed no matter who is in need. Blessings to you and your husband. Take care. It is pathetic that homeless people are often targeted with hate crimes. As you pointed out it could quite easily happen to many of us for various reasons. As to the CPR and hands only information...that is wonderful information to know and share. I would try and help anyone should that situation ever arise. I would hope that most others would do the same. Good article! Thank you Larry W. Fish, for reading this article and for sharing your thoughts on this imporant issue. More than half of all homeless people these days are over the age of 50. 26% are veterans and 6% of those are women veterans. 43% are families with children where at least one parent is working but doesn’t make enough to pay the horrendous rent these days. I have several articles on homelessness and poverty. I invite you to check them out. Before homelessness can end people will have to change their attitudes about that situation. Right now most people are into punishing the poor so that they will be good and GD sorry they’re poor. People who have never been poor don’t realize that being poor is in itself a punishment, so they’re insistence on making things even worse for poor people is really just piling on, adding to the problem and the misery of the poor. They will receive their just reward in good time. Never imagine they won't no matter how loudly they yell what good Christians they are. For self-described Christians, here’s some food for thought: Jesus loves poor people second only to children, who are his favorites. 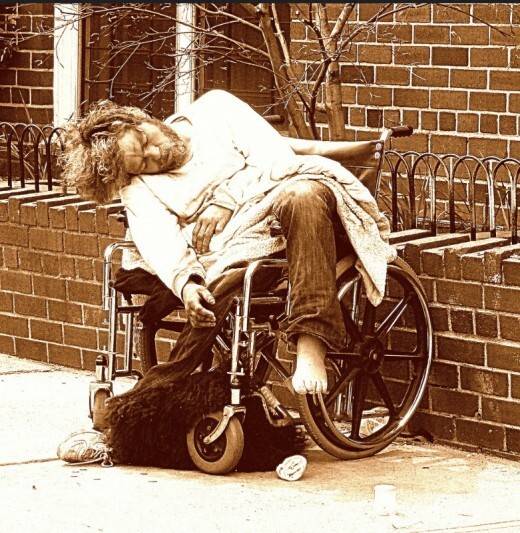 Jesus was Himself homeless all of His adult life. It could get a little dicey asking for mercy and forgiveness from Jesu when both He and the requester both know the requester never had a tiny bit of mercy or forgiveness for anyone else, especially poor people. Being poor may be criminal in this country based on Christian values, but it’s not a sin according to Jesus and the Bible. Odd, don’t you think, that the so-called Christian values this country is based on are completely opposite the values taught by the Bible, and that were taught by Jesus when He was here? A great read that everyone should be aware of. The homeless situation in America is sad and could be cured. The sad part is that many of the homeless are veterans of the US military. When the rich keep getting richer and living in multi-million dollar mansions while people are living on the streets make me ashamed of our government. Recently a 1.5 trillion dollar tax cut was passed, much of it going to the rich. I am ashamed of our government for ignoring the homeless. As you say many of us are just one step away from being homeless. I see a few cities around the US have built small home communities for the homeless. A great idea, that should be done by more cities. Thank for this informative article. Sherry, thank you for letting me know. I have replaced the previous video with a different one. Your video doesn't work anymore. Thank you for stopping by Devika. Very often time is of the essence when someone is unconscious, and starting CPR immediately can save their life. Even the 911 operator is likely to encourage you to begin CPR while emergency services are en route, and s/he will direct you as to what to do, though chest compressions really aren't that difficult. I included a video in this article so that anyone not familiar with the process can quickly learn it. Thank you for sharing an informative and most useful hub. I will definitely call 911 and wouldn't dare take a chance on my own. Nadine May, thank you for reading and commenting on this issue, and thank you for helping the mother and son you wrote about in your comment. I'm so glad you helped these people and that they are doing so much better today. Our world needs more people with a giving spirit like yours. That was an informative article with some great videos! It's a huge problem in South Africa. Three years ago we took in a mother and son who had no place to stay and no income to pay rent. The mother used our internet to start helping herself by using an old laptop to create calendars. Son today found a job nearby. Mother is now a living-in carer nearby while the son lives with us. Moonlake, thank you for your comment. If only more people had your common sense and your kind heart, this world would be so much better. The Lord didn't say we should judge another person's worthiness, or anything else about them. He said we should help each other, period, and that when we do that we are helping Him. When we don't do that, we are refusing to help Him. 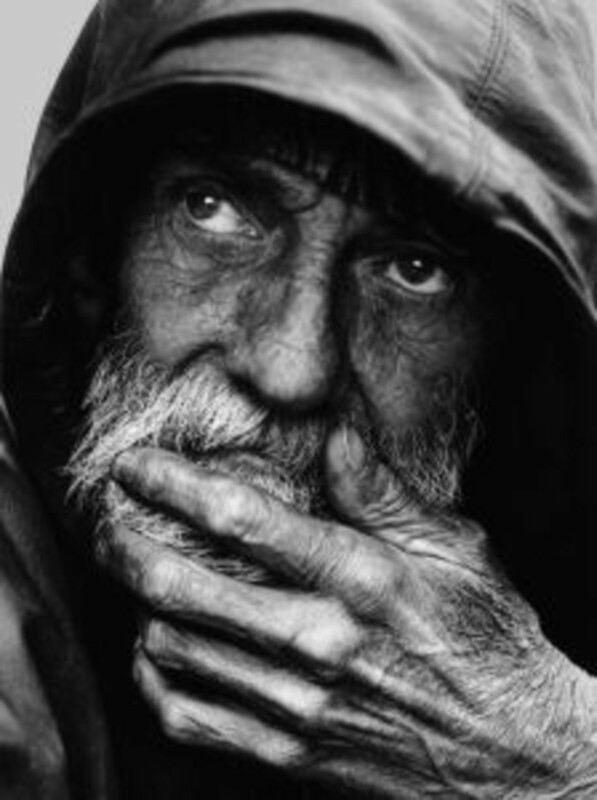 I've noticed a lot of people have a stereotype of a homeless person in their minds and refuse to let go of it, and they use that stereotype that is WRONG in more than 80% of cases, to refuse to help homeless people and by extension they are refusing, as He said Himself, to help Him, our Lord. Thank you again, Sharon. God bless you for your good sense, and your kindness and compassion for those people who need it most. You are so right about how easy a person can become homeless. Most people are just one paycheck -- or less, away from that unfortunate situation. I would give CPR. It is so easy to become homeless all it takes is a lost job or sickness. Many people don't make enough money to be able to save for emergencies. Bodylevive, thank you for answering the title question and sharing your thoughts. As I shouldn't have to tell you, in a true emergency, seconds count. I highly recommend you get CPR training -- available from the Red Cross among other places. The life you save could be your child's, or your husband's, parent's or neighbors. Or you best friend's. Your grandchild's. Sometimes 911 operators will have you doing CPR under their direction while the ambulance is on the way. If you don't get the necessary training and someone you love dies because you couldn't help them, believe me, you'll never forgive yourself. Just saying. Why wait until that happens? Sherry Hewins, thank you for commenting and sharing your experience on this issue. 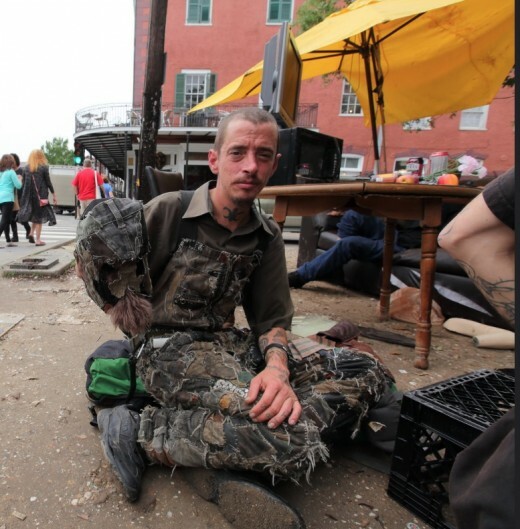 I hope you will take some time and read my article: Who Are the Homeless People of America? Only 19% of all homeless people fit the category you describe -- junkies, alcoholics, mental disorders, etc. So there is more than one description of homeless people, but because the chronically homeless with serious addictions and mental issues stand out, everyone likes to suppose all homeless people are the same. They are not. As I usually do, I have listed my sources for the information I present, and the Coalition for the Homeless is one of the very credible ones. I am acquainted with many homeless people and have been for a while, more than 2 years. Not a great deal of time, but long enough to know who they are, and they have fewer addiction and alcohol problems than the general population who have jobs and homes. In fact statistics show that at least 44% of homeless people are employed, and 23% are children. I hope you will take the time to learn more about homeless people. Homeless people have some of the most challenging lives anyone could possibly live in this world and being stereotyped on top of everything else is not a blessing. Thank you again for taking time to read this article. I hope you will read my other articles on this issue also. No, I would call 911 for someone who is experienced in such matters. Being not experienced could possible cause more damage than help. I have a brother who, although not actually "homeless" fit the description pretty well. He IS an alcoholic, trying to recover. He lives in a travel trailer, under rustic conditions. He has lost his driver's license because of his drinking. Local law enforcement stop him regularly. It is not OK for him to walk through town with his backpack on. No local business wants him to stop too long at their location. Any paramedic attending to him would certainly tag him as being homeless. I hope his heart never stops while walking in town. Paula (Fpherj48) thank you for sharing your thoughts on this issue. I'm sorry to take so long to get back to you. Seems like all my received comments get to be a couple of months old before I get back to respond to them, so please don't take it personally. Life has just been a mess the last few months. Anyway, I think part of the trouble is that so many people running the programs for homeless people have never been poor in their lives, much less homeless. I don't think they really understand what homeless people need to get back on their feet. Yes, I personally know some people who will never get on their feet, and who seem to use very poor judgment when they do have a few dollars to their name. There are some people who simply don't want to work, but they are a small minority and sadly prevent people from helping the people who would make an effort to do all they could to help themselves. The people who grab out attention and stay in our minds forever are the ones who are not the majority of homeless people. In fact, most homeless people are not even recognizable as such when you see them because they are trying to get back on their feet. Many are in vehicles rather than on foot. Seems like the homeless people who have mental disorders and often on foot grab everyone's attention and that is who they picture in their minds when they think of homeless people, but they are a mere 20% of all homeless people. But they are a very visible group largely because they are on foot and may or may not be taking their meds. These are chronically poverty stricken people through no fault of their own, but everyone doesn't always realize that it is a mental disorder in these cases that causes these people to be as they are. The majority of homeless people are trying to get back on their feet and become productive members of the community. Believe me, no one in their right mind (no pun intended) wants to be homeless or poor or panhandling for a career. Thanks again for commenting. Hope you had a great Christmas! Shyron, thank you for sharing your thoughts on this important issue. I highly recommend you get CPR training if you haven't had it. Doesn't hurt to review even if you have had it, and there are videos on YouTube that can be helpful in doing that. We're having a nice day today, but tomorrow will be as opposite as it can be. I hope you and John plan to stay in where it's warm. Take care dear friend. Blessings and hugs . . . Au fait....I actually read this when you first published it. I remember specifically watching the videos, which I've done again this time. It's rare for me to be distracted (or whatever) and not leave a comment (?) Don't have an explanation. I stopped by here again today because "homelessness" is one of my serious peeves or disappointments, more appropriately, with our country's unforgivable shortcomings. I don't know.....shortcomings?? That word isn't a good one to use. The fact that we have this social ill is, in my opinion, a national disgrace, a damned shameful situation, a HUGE lack or total void of a piece of our basic humanity. I vacillate from sad to disgusted to angry to livid. I like to believe I do my part to the best of my ability & resources but I'm painfully aware it's never enough. Nor is it enough for a hundred people with my opinion to do what they can. And this Au fait, only makes me feel even worse. I have a good friend who heads up the "City Mission" ( in the city about 30 miles from my town) I've learned a lot from Hank....not only the uplifting facts in terms of community help but sadly the heartbreaking facts that people like Hank, you, me.....can make but a dent in the needs. Paul Kuehn, thank you for sharing your experience and your thoughts on this important issue. I very much appreciate your sharing this article on FB and with followers too. Shyron, thank you for commenting and for raising the issues in your comment that you did. It's very true that an accident or sickness, or any number of misfortunes can land a person in homelessness. I wouldn't be surprised if a few of the smug people who think they have all the answers didn't find themselves homeless. Who would have thought? I know at least one person, though she was never smug about poverty, still never imagined she would be homeless. I've read recently that half of all homeless people are 50 years old and over. If Republicans have their way with Social Security and Medicare, there will be a lot more older people living homeless. And of course the old stat, 26% of all homeless people are veterans who come home messed up as a direct result of having served their country. They answered the call so the rest of us wouldn't have to, and now look how we thank them. Shame on America for letting even one veteran be homeless!! Colorfulone, thank you for taking time to read and respond to this article and this issue. I was frankly shocked that anyone would refuse to help someone in a life or death situation if they were able to help. I'm still wondering if the person I wrote about would refuse CPR or help even to a homeless veteran, and how he would know for a certainty if someone was homeless. Sometimes it's obvious when someone is homeless, but more often it is not. I would give CPR to a homeless person and do not feel they should be discriminated against the way they are. In 1979 my wife and I were homeless for a few days after we wound up in Toledo at the hospital where my son was being treated for a badly broken arm. I remember that we slept one night in our car parked in the hospital garage and one night in the hospital waiting room. After that my good friend was able to arrange housing for us with a friend. I am sharing this hub with HP followers and on Facebook. I would give CPR to a homeless person, to anyone. I could not stand by and watch someone die without doing what I could. Its hard to believe some people are so hateful towards other human beings. God bless all of our homeless people with all they need to live with dignity. Always exploring, thank you for checking this article out and sharing your thoughts. As I have stated in 2 of my hubs on the subject of homeless people, fewer than 20% are unable to function in society due to substance abuse or mental disorders. All others have simply fallen on hard times. Treating them like an infestation of rats solves nothing. There needs to be assistance in helping these people get back on their feet. Many have college educations and families who are living homeless with them in tents, etc., too. 26% are veterans. Shame on America. Bobby (Diogenes), thank you for commenting on this article and for your high praise. I have to say it takes more than 10 minutes for emergency workers to arrive here when called also. Living just 6 blocks from the fire station it took a good 20 minutes for the firetrucks to arrive a few years ago when an upset lover of one of the women downstairs exploded a bomb under my balcony. Yes, and I was really worried the building would catch fire, and there were children living in it, sleeping. It was 2:40 AM. Emergency workers often come to my complex as do the police, and they never arrive sooner than 20 minutes, sometimes longer. lions44, thank you for sharing your experience relating to this subject and for sharing your thought -- and for the share with others. Au fait, thank you for writing this to bring awareness to the fact that homeless people are human also and deserve as much respect as anyone else. I personally know three people who are homeless and possible fourth on the way to being homeless, through no fault of their own. Call it bad luck, Karma or fate, I hear people say "well these people should have saved for the future." I say, most jobs do not pay enough for all the bills and leave anything left for savings, and most jobs that pay low pay do not even provide enough hours so that a person can even have benefits and an enormous amount of people are just one sickness away from homelessness. I put a comment on here yesterday and it disappeared. I hope all is well with you. Blessings and Hugs my dear friend. Au fait, I have not had CPR training, but do plan on going for the training someday. I do not think everyone hates homeless people, I don't and many times I have been one paycheck away from being homeless with two little ones. And I have been tricked and lied to by two people who claimed they had no food for their kids and I gave them money and found that the kids did not get any benefit from what I gave their mother. I think a lot of people do not want to be tricked by people asking them for money. I also know a woman who said she could make more money in one day than she could working a whole week at her job, by sitting on a street corner with a sign saying she was homeless. I personally know two people who are homeless and I want to help but my situation does not permit, I will when I can and yes I would give CPR to a homeless person and treat a homeless person no different than any other person. Ii is my sincere hope that all is well with you. I had to take my computer to the internet doctor (my son) to have him remove a virus. I think I will write about that tonight. I can't imagine anyone NOT giving CPR to a homeless person or anyone else. In all the years I was a RN I never had to give CPR. The homeless population is a real problem, and most, not all need our help. To look the other way when we encounter a homeless person is a shame. They are human, just down on their luck. So many say that they are bums, lazy, drunks etcetera. I would venture to say that most have mental problems and need help. Your hub is informative and humane. Thank you. It's late, so I skimmed through this excellent (as ever) article, Misty. I did see the video about CPR by chest pressure. That was interesting. Ten minutes is not long; our responders take longer than that here...nearer half an hour at a minimum. The NHS is becoming useless; Europe is so choked with desperate people from Africa and the Middle East. Really interesting hub. I was faced with this very decision, but thankfully, the woman was found to be still breathing when she collapsed in front of me. She had just been released from the nearby hospital and I still don't know if she was homeless or a mental patient. I'm a former EMT and while I've had to do chest compressions, I have never done mouth to mouth. I did immediately call 911 and stayed on the line until they arrived. I'm really glad mouth to mouth is not required anymore. But it is a moral dilemma. Sharing everywhere. I want to hear see how folks respond. Thx.